Rejuvenating An Old Outfit Doesn't Have To Cost Much. I've just had a big massive clear out of ALL my clothes and I was completely taken back by the amount of clothes I have got!! Already this year I've been trying to buy as little as possible as I've been consciously using clothes I already got in my wardrobe and stored away that I had forgotten about. And it's been so much fun. Cause I've found so many things that I'd forgotten about that I really loved wearing and didn't sell or got rid of for a reason. This outfit contains two items I had forgotten about. The bright yellow pleated skirt from H&M that I bought a few years ago that are so cute and so perfect for summer. And the cropped denim vest that I've made myself. I've Fallen In Love With A Brand!!! There are few brands out there I feel really strongly for. Most plus size brands these days have managed to provoke me in some way. 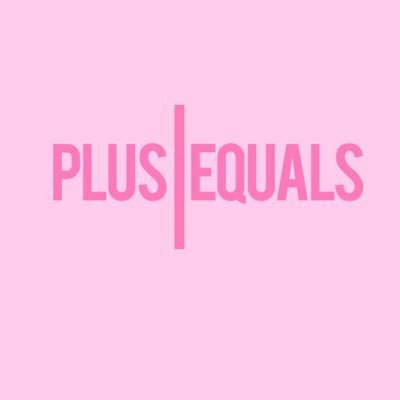 Either by the way they have handled their social media or the way they have gone away from their true plus size branding. 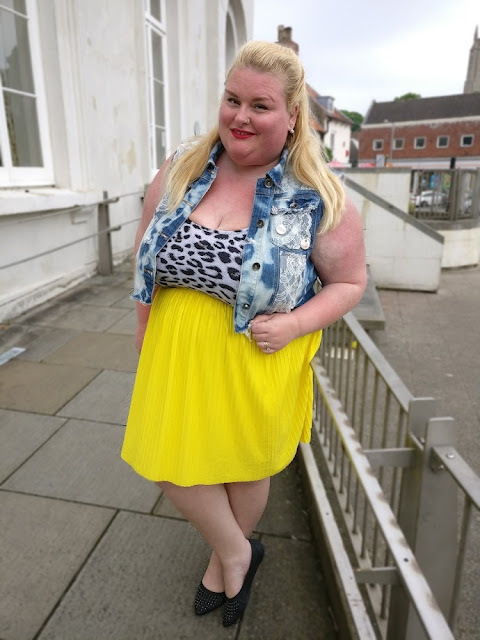 Less and less brands seem to be true to the plus size roots these days which is a shame as I think it's so much choice for the ones that can fit into anything under a size 24. For everyone above a size 24 the choices are radically fewer. 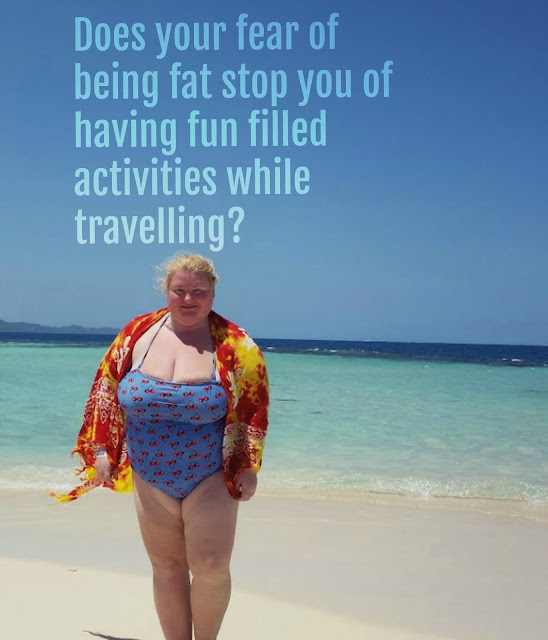 Does Your Fear Of Being Fat Stop You From Having Fun Filled Activities While Travelling? It's summer and high season for travelling. You might already have booked a holiday or maybe you're doing it right now. The excitement of booking a new holiday or travel is one of the best feelings ever, but as a plus size traveller, it might be some things that are worrying you before you set off on your dream journey. I have been plus size most of my grown up life and up through the years I've travelled a lot and never let my weight stop me. I could have stayed at home and never had to worry about anything, but I don't even want to start thinking about all the fantastic experiences I would have missed out on if I hadn't dared to follow my wanderlust. I think it's so important for everyone to do the things you want to no matter what. 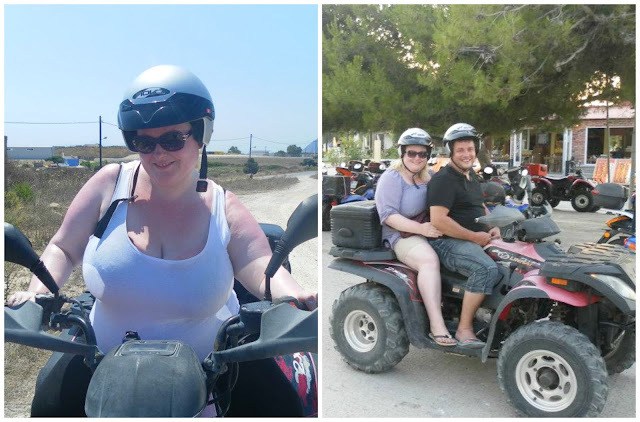 Quad biking in Kos. So much fun!!! I've been gold washing in Finland, I've been riding a quad bike for hours on dirt tracks of Greek Islands, it's so much fun sledging down a steep slope in Norway, I love snorkelling in the azure blue waters of the Caribbean, I've been climbing all the steps to the top of the leaning tower of Pisa, scuba diving in the Red Sea and so much more, and it has never been an issue. Of course, there are some activities that have size and weight restrictions. Like I can't go to most theme parks as to my chest measurement will make it impossible for me to take most of the rides. But there are far more things that you can do, than things you can't do! So if you want to do something, the chance is big that you can do it. Very often I think that it's our minds that limit us from doing what we want to do rather than the physical aspect of it. Snorkelling in unbelievebly beautiful Yal-Ku, Yucutan, Mexico. Amazing place. Never been anywhere like it. Stunning. Sharing my thoughts on how to become a more confident to do more activities when you're out travelling, I have gathered some tips and hints I hope can be helpful and useful for you in your travels. 1. Wear comfortable clothes. I mean. This goes without saying and is something that applies for everyone regardless of size. But as a bigger person by wearing something comfortable and something YOU feel at ease in it's one less thing to worry about. 2. Wear something that you feel comfortable in, but still is activity appropriate. Let's say you're going off the beaten trek in a buggy and it can get really muddy. If you hate getting mud all over your skin, then wear something covering, if not wear shorts and a tank top as you will be able to wash it off. A thing to remember with an activity like this is a scarf or bandana to protect your face and mouth. And if you're going snorkelling, and like me, you burn really easily. I would highly recommend wearing a long-sleeved t-shirt as when you get into the water and you start having fun, you lose track of time and before you know it, you have got a nasty burn even if you put on some solid sun factor 50 before you jumped in the water. 3. Don't worry about being the only fat person on the tour. If you are, so what? Aren't you allowed to have fun? Aren't you allowed to enjoy your travels? Haven't you paid just as much to be on this activity as everyone else? Chances are that no one will think anything of it and if you're friendly and smiley everyone will be the same back. I have never once come across any fatshaming or trouble because of my size. The people working on the tours have been so lovely as well and don't know what they can do to assist you and help. If I have been nervous ahead of the trip and wanted to call it off, I've always been so glad I didn't as I have loved it and sat back with the best memories of a great day. 4. Bring as little as possible. The less you bring the better it is. Again, this makes it less to worry about. And if you have your essentials like suncream, camera, sunglasses, water, protective gear and not much more. If you have a money belt to wear around your waist or near your body(you can find waterproof ones for snorkelling or other water activities as well on Amazon) then bring this. Leave your backpack behind in the bus/car that has taken you to your starting point. 5. Participate in everything. If there are something on offer in the excursion and you feel a bit hesitant towards it because of your size. Don't let that stop you. Try it! It might surprise you. You might love it and you might be really good at it. If you have a fear of something, I'm not saying that you should go out do something for any price, but it's good to challenge yourself sometimes and it gives you a great boost if you can do it. I bet that not everyone else can do it either regardless of size!!! 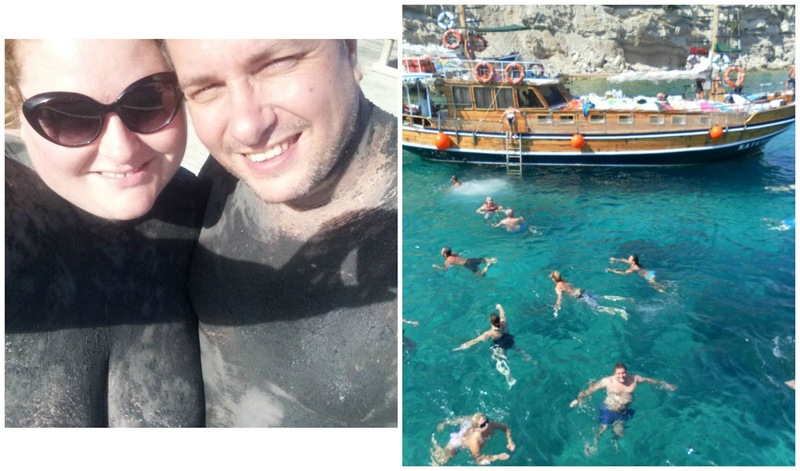 Mudbaths in Spain and jumping from boat into a crystal clear Mediterranean in Greece. 6. Shoes!! Wear comfortable shoes!! Sandals or trainers depending on what kind of activity you're doing. If you're doing a water activity wear water shoes or flippers. Otherwise, wear good footwear. It's essential. If you're doing something action filled I would suggest wearing something with a closed toe as it protects your feet better. A little bonus tip is to make sure you breathe properly. 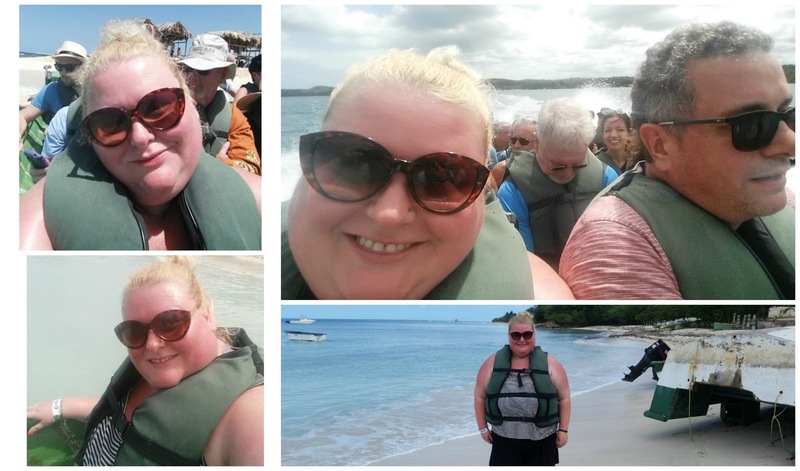 It can be stressful being a plus size traveller so make sure you relax as much as you can. Take some really good deep breaths as it helps massively. If you do this I can almost assure you that you will enjoy your excursion a lot more and it will help you relax. 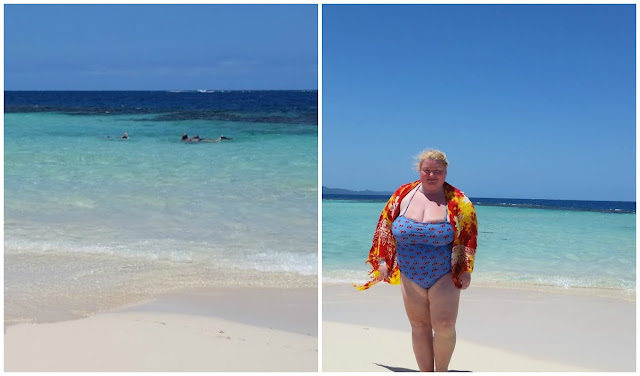 Snorkelling on Paradise Island, The Dominican Republic on the Left and when I had got on land on the right. I hope that next time you fly off somewhere, you have it mind that you should do what you want to do when you're away. If you are happy spending the whole week inside the resort just relaxing by the pool reading books and drinking cocktails then you should. But if you want to do more adventurous things like I love to do when I'm away then you shouldn't let your weight stop you. What do you like doing when you're out travelling? Wearing Short Dresses After 40? Are you too old to wear short skirts or dresses when you're over 40? And on top of that are plus size? Of course not!!! If you want to wear a short skirt or dress then you should. I'm 42 this summer and I'm wearing short dresses, skirts and shorts all the time both in the summer and winter. 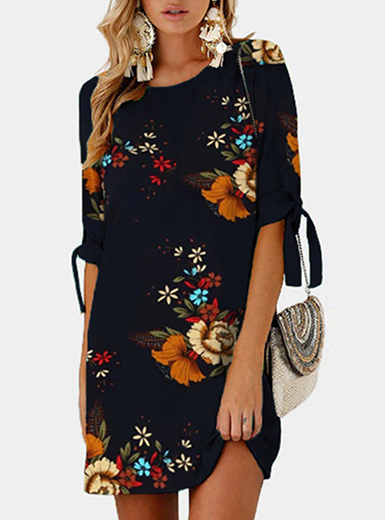 I saw this cute animal print dress from Pink Clove in Asos' sale section and I have a weakness for shift dresses as I think they are so easy to wear as everyday dresses. And animal print is one of my favourite prints that I can use with so much else so I know that this dress can be worn on its own like I do here on a warm day or with tights and a denim jacket if it's a cooler day. Bad Rhino Blogger Search- Calling All British Plus Size Male Bloggers! I've been a plus size blogger for four years now and it's been so much fun. 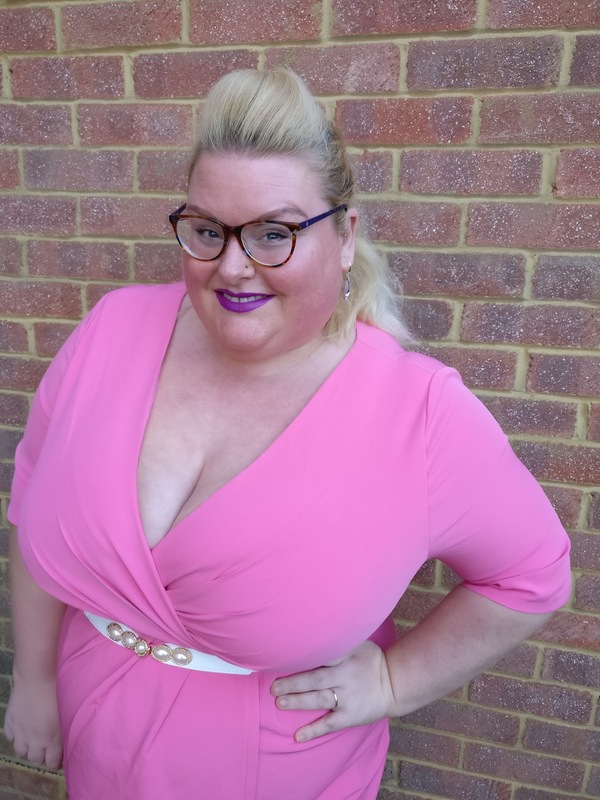 There were quite a lot of plus size bloggers in the UK already when I started. And since I started it has been an explosion in the number of plus size bloggers there is around. Something that truly is fantastic as it's amazing seeing all these women embracing their bodies and pushing their boundaries when it comes to fashion.